Scour lands full of wheat fields, forests, grasslands, swamps, mines, and towns, diversifying your kingdom�s riches along the way. Tax the lands wisely to fund the construction of your towns, pick the buildings you erect carefully, and try to win the Queen�s favour - all while making sure your plans aren�t foiled by the Dragon�s flame. 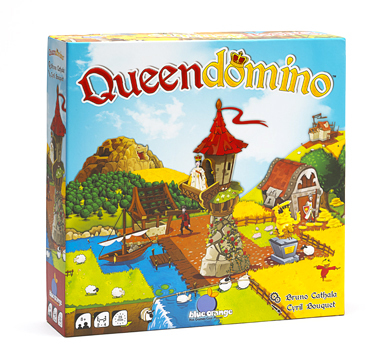 Make sure to strategize and acquire carefully, as others are also competing for the same lands, a stake in the riches, and the heart of the Queen!